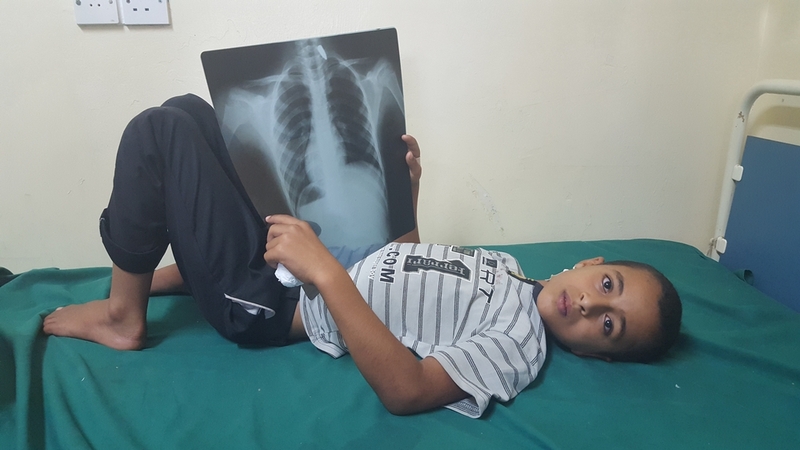 Two months into the ceasefire in Yemen, Médecins Sans Frontières (MSF) facilities and supported hospitals have treated a staggering 1,624 people with injuries caused by intense fighting in Taiz. Taiz has seen some of the fiercest fighting since the escalation of the conflict began 15 months ago, with shelling, airstrikes, bomb blasts, landmine explosions and sniper fire happening every day. Fighting and shelling takes place in densely populated parts of the city. “On 3 June we received 122 wounded in our supported facilities, the majority coming as a result of a missile which hit a crowded market in Taiz,” says Salah Dongu’du, MSF project coordinator in Taiz. No matter where in the city, the impact on residents is felt by all, with people losing family members, homes and livelihoods and living in constant fear with no choice than to just go on with their lives. People’s access to healthcare is severely limited, there is no electricity, the streets are piled with rubbish, and food and other commodities are only available at inflated prices. Sunood 12 years old girl, recovering in bed with her mother at her bedside. She was collecting water with her friends and siblings as she does every day, when she thought she was hit by a stone in the stomach, she didn’t realize it was a bullet until she put her hand on her stomach and found blood. “Recently I walked into one of the emergency rooms where our teams are working,” says MSF head of mission Will Turner. MSF calls on all warring parties in Yemen to take far greater measures to protect civilians and calls for all actors whether they are participating at the peace talks in Kuwait or not, to reduce the intense level of conflict and facilitate at all times unrestricted humanitarian access in Taiz.